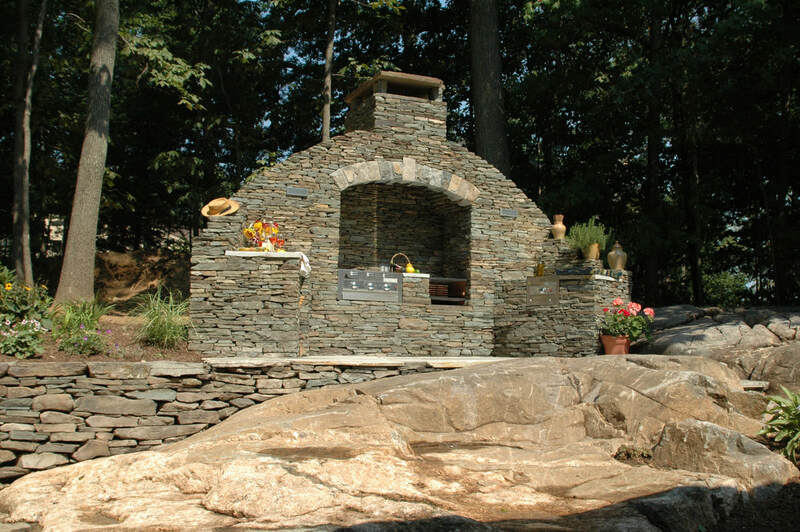 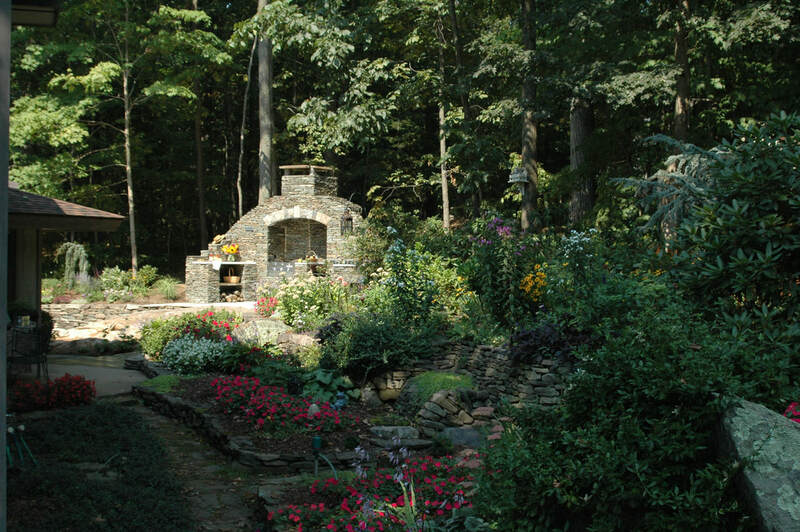 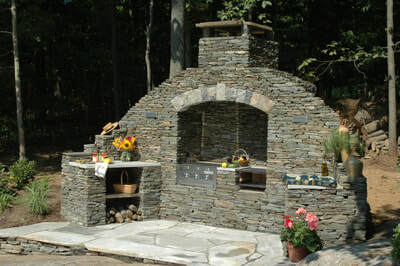 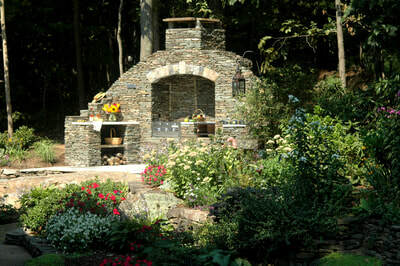 I remember receiving the call from our longtime clients “Our neighbor is cutting down his trees, we need a screen” What developed from that initial call was this outdoor kitchen. 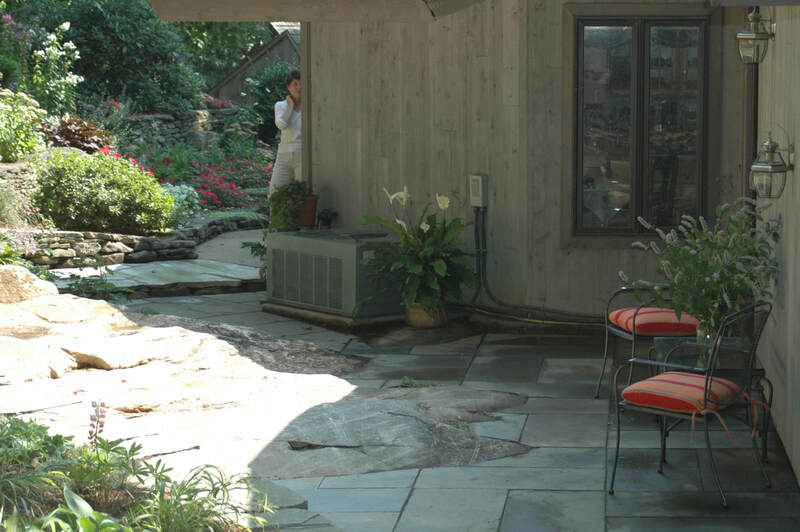 We had previously built the terrace walls in the foreground, and the original plan was to continue those around the back of the house. But, when we started excavating the site we found this wonderful glacier smoothed ledge, it was decided this was a feature that was worth keeping rather than burying again behind a terrace wall. 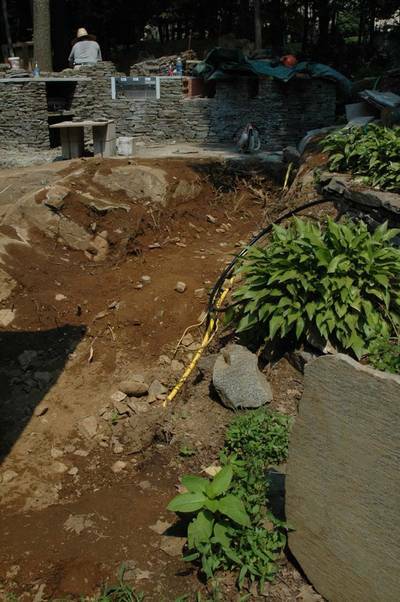 As we continued digging we found the ledge had a natural cleft, perfect for running gas and electricity, and the decision was made. 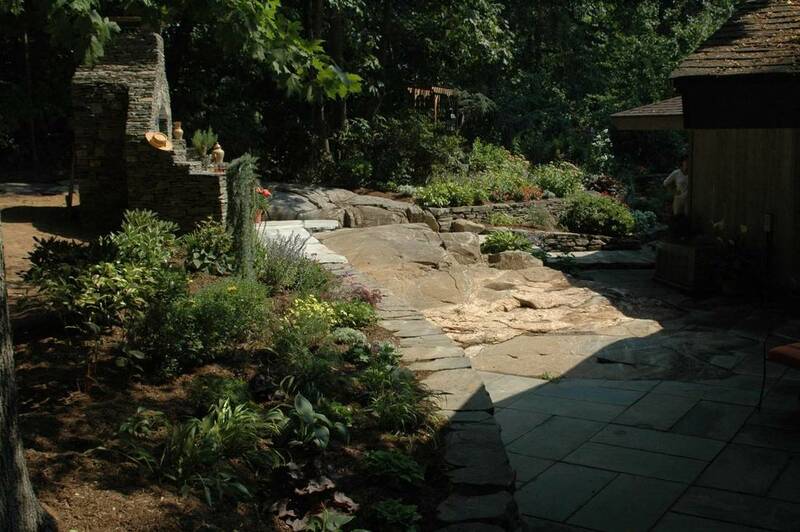 Rather than make the screen out of plant material, and a wooden fence. 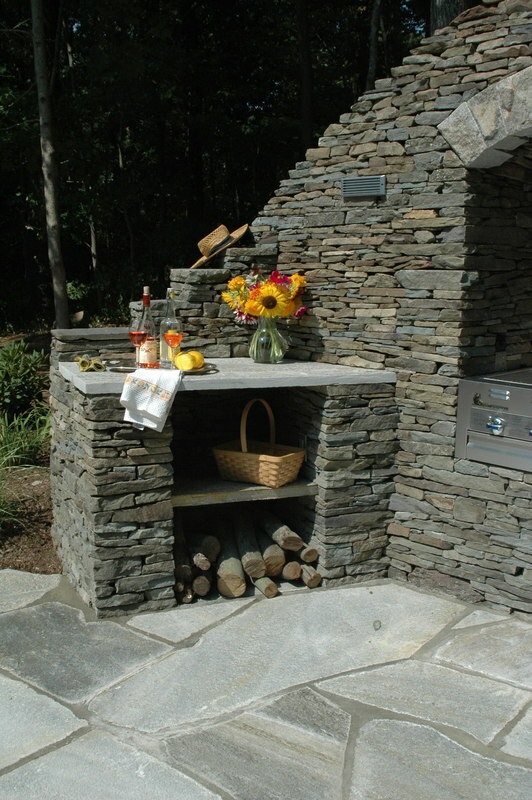 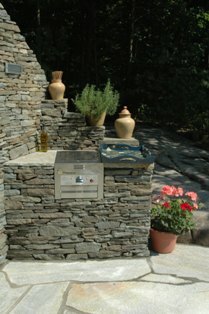 Lets build an outdoor kitchen, as we were building on solid ledge, there was no need for any foundation prep work, other than to clean away the thin layer of soil. 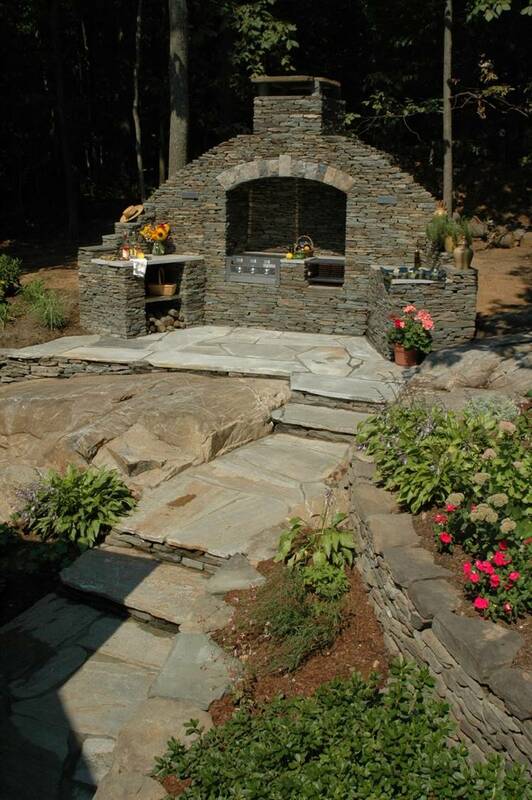 The natural break in the ledge was ideal for the access path and the existing terrace wall and borders were continued around to the uncovered ledge, giving the outdoor kitchen a more nestled in the landscape look. We even had room for a small shady patio, where one can sit and enjoy ones surroundings.